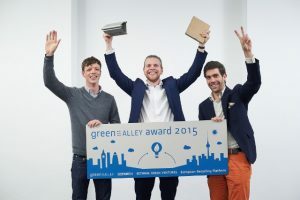 We’ve been working with the Green Alley Award in Berlin for a few months, looking for some new start-ups across Europe who are participating in the circular economy – work involving reuse, recycling, and general sustainability. Over 100 applications were received and in just two short weeks, our own Glen Mehn and Vicky Gibbons will travel to Berlin to meet all six finalists, do a days’ work with them, and then select the winner of the Green Alley Award, who will get the benefit of €20,000 in cash and services – including office space in Berlin and access to some excellent networks. 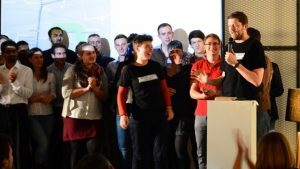 We’re going to be in Berlin in just two weeks – if you’re want to have a chat with us about the next edition of Bethnal Green Ventures get in touch with us on hello@bethnalgreenventures.com and we’ll book some time in with you!